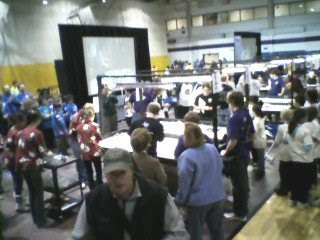 I'm sitting here at the SHARC table for the FIRST Lego League Championship here in Denver, CO.
Really cool to see all the interest and enthusiasm in robotics amongst the kids! We've had a lot of visitors here. 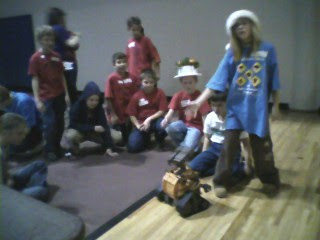 The Wall-E robot is by far the most popular of course. 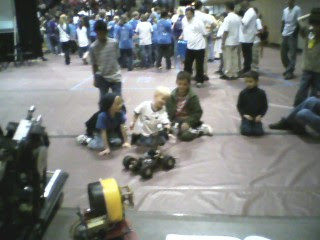 But the firefighting robots, ol' Pokey and Physignathus, are getting a fair share of attention, too.